Anyone who knows me at all knows of my total adoration for sleep bags. When my own daughter was still in a crib (she’s in a big-kid bed now – eek! ), I had tried so many different varieties of sleep bags; we had every style and colour under the rainbow! As a baby sleep consultant, I still get asked often about the top baby sleep accessories on the market; a glorious little bag by KyteBABY has recently come in at the top of my list! Safety: Health experts agree that there should be no loose items in a child’s crib, including blankets. A sleep bag is essentially a “wearable blanket,” meaning you get all of the warmth and coziness of a blanket, without the safety hazards associated with loose items being in your child’s crib. A proper-fitting sleep bag will ensure your baby’s head cannot slip inside, removing the suffocation hazard associated with blankets that can end up on top of baby’s little mouth and nose. Warmth: Babies move a LOT in their sleep – this means little legs often kick off blankets, leaving your child chilly at night. Sleep sacks stay in place and keep your baby warm the whole night through. Containment! I receive many messages from parents who have moved their chid to a toddler bed at the age of two or younger because their child was jumping out of the crib. Unfortunately, there are often many sleep challenges associated with toddlers being able to get out of their bed at this age – not only can it be a safety issue (an 18-month old wandering around the house on his own at night, for example), but this is also an age at which most children’s comprehension is not at a level that allows them to understand why mom and dad are asking them to stay in their bed, and perhaps the rewards and consequences that may be associated with staying in (or getting out of!) their bed all night long. This can lead to a lot of lost sleep for the whole family! A sleep bag, while still allowing your child the freedom to move around in his crib, is a strong deterrent to crib-climbing. 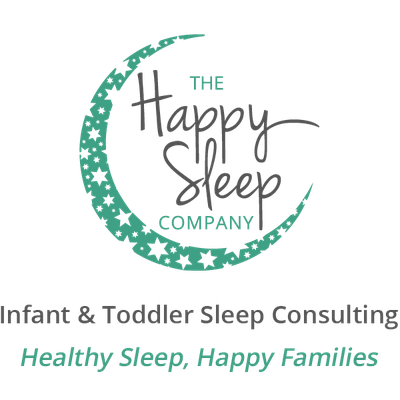 Most toddlers whose crib mattresses are on the lowest setting and are wearing a sleep bag are not able to do any crib-jumping, and stay in their crib to get healthy sleep until they are at an age where they are truly ready to be in a “big kid bed.” For most children, this is over the age of three. They are comfortable. KyteBABY sleep bags were clearly designed with the comfort of baby in mind. Firstly, they are bamboo-based. Translation? Oh. So. Soft. As if you needed another reason to cuddle your little squish, these super-soft-and-smooth bags are MADE for snuggles, and keep baby super comfy during sleep. The bamboo-base also means the sleep bags regulate your child’s temperature for optimal comfort, keeping your kiddo warm and cozy at all times when wearing the bag. They are simple. I hear a lot of complaints from my clients about sleep bag zippers getting easily stuck in fabric and being difficult to open. But parents (me included!) want things that make life easier, not harder! KyteBABY sleep bags have smooth, double-sided zippers. They zip top-to-bottom or bottom-to-top, which makes diaper changes easy, and getting in and out of the bag a breeze. They are adorable. These sleep bags come in the most beautiful, simple patterns and colours! From “ocean” to “grass” and from “twilight” to “woodland,” the bags are a gorgeous addition to your little one’s sleep wardrobe! They are sustainable. Babies’ safety is a top priority, and KyteBABY has this covered with their meticulously designed products. But, if the products your baby is wearing can also help protect the world’s resources, wouldn’t that be fantastic? KyteBABY has this covered. All of KyteBABY’s products are ethically-sourced and made of bamboo, which is one of the most sustainable resources in the world. Who says gorgeous and Green can’t go together? !